Thought you’d enjoy this. It was posted on the door of the Production Lounge the other day. 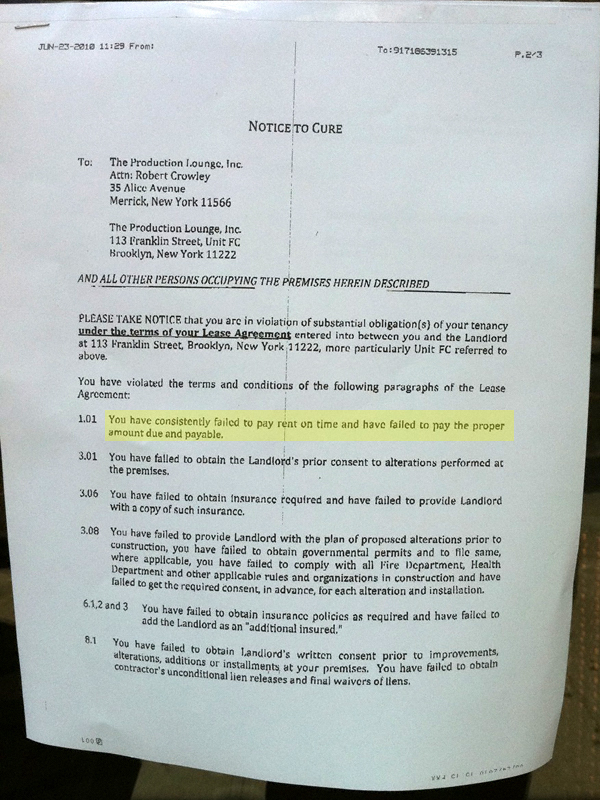 Could this spell the beginning of the end for one of Greenpoint’s, um, more notorious establishments? Given that they have alienated the community at large (gun fire tends to do that kind of thing) and seemingly now their landlord as well I wouldn’t bet against it.